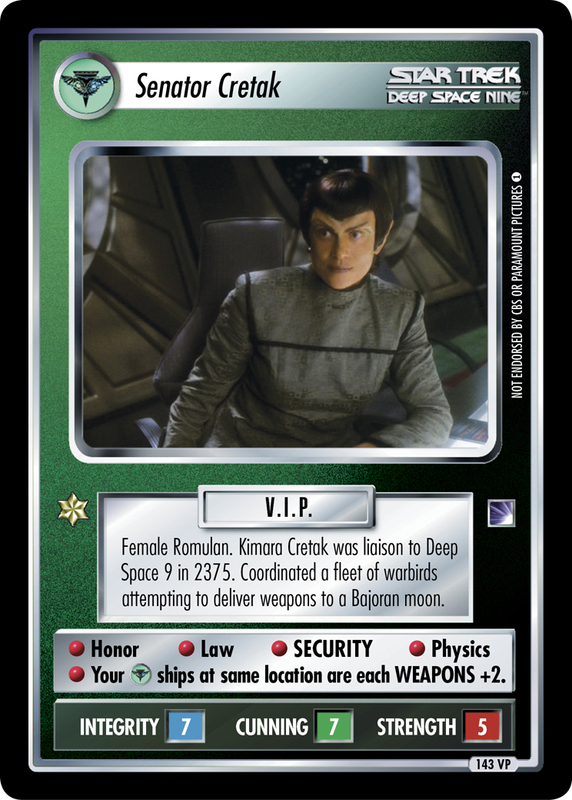 Female Romulan. Kimara Cretak was liaison to Deep Space 9 in 2375. Coordinated a fleet of warbirds attempting to deliver weapons to a Bajoran moon. • Honor • Law • SECURITY • Physics • Your ships at same location are WEAPONS +2.